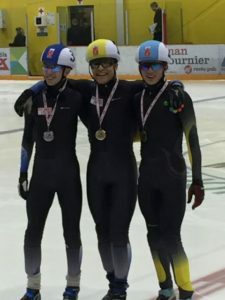 This weekend Mitchell Schrum and Claudia Heeney showed the country why they won the fastest 500m trophies in Provincial A this year. 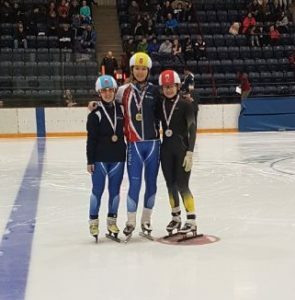 Mitchell finished with a bronze medal in the Junior 2 Selection competition and Claudia took home the silver. 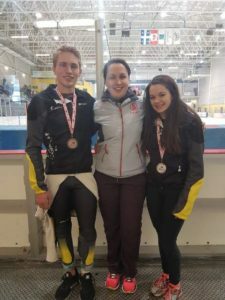 Both skaters finished an outstanding 6th place overall for both Men and Women in a fantastic showing for our Cobras on the National stage. Coach Julie Walsh is thrilled for them too – all the hard work of the season is really paying off! Congratulations Mitch and Claudia on outstanding seasons! You make KW and Ontario very proud!